Hey sports moms! Are you ready for summer? We’re just wrapping up baseball season, but that doesn’t mean that we’re ready to give up sports this summer season. 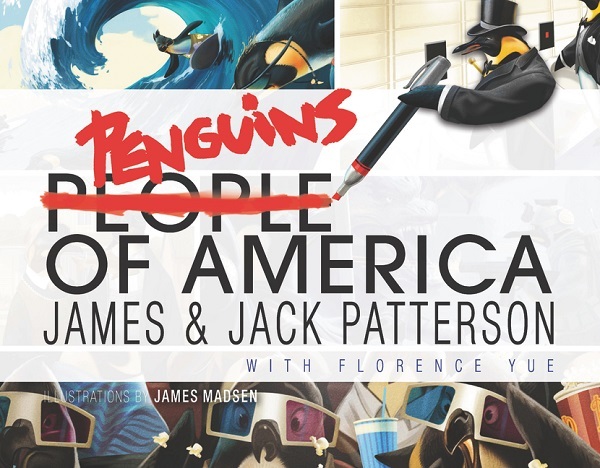 James Patterson’s Penguins of America book is the perfect way to stay engaged in sports this summer – with lots of summer reading fun! Jana at MerlotMommy.com started thinking about all the “rules” of being a sports mom after reading Penguins of America, a new illustrated book from James Patterson and his son Jack. Check out her list of sports Dos and Don’ts. 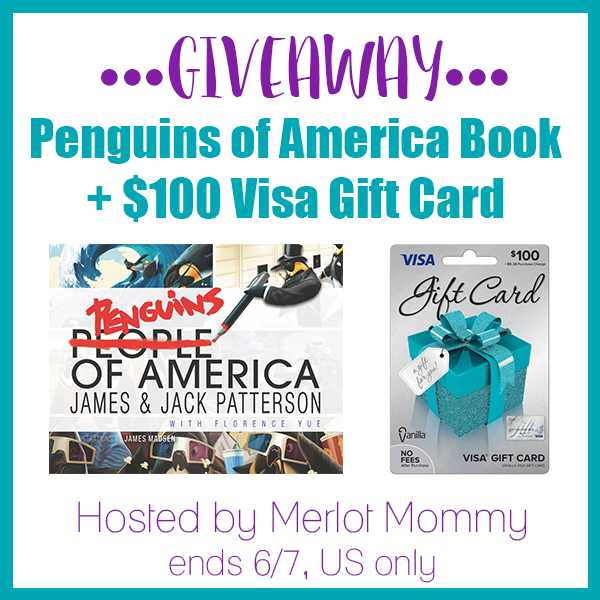 James Patterson’s Penguins of America Book + $100 Visa Gift Card Giveaway! Summer is for princesses! With summer almost here and birthday parties galore around the bend, now is the perfect time to stock up on the Best Disney Princess Toys from Hasbro! My daughter is such a fan of Disney princesses – and I know she and her friends would LOVE playing with any of these amazing toys! With toys for every budget (starting as low as $7.99) and every princess lover (from Moana to Elena), Hasbro knows how to bring the princess fun to your child’s imaginative play! 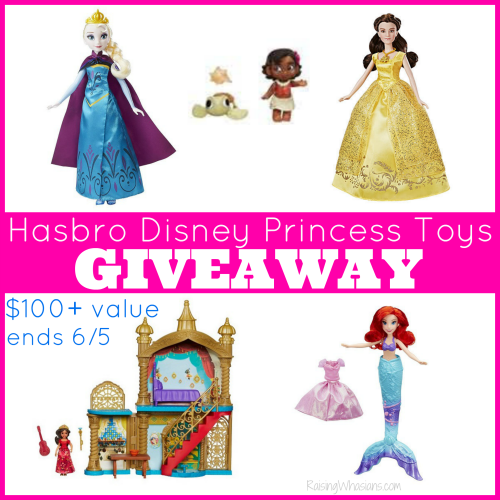 Check out the latest Hasbro Disney Princess Toys and be sure to scroll down for a fun GIVEAWAY! 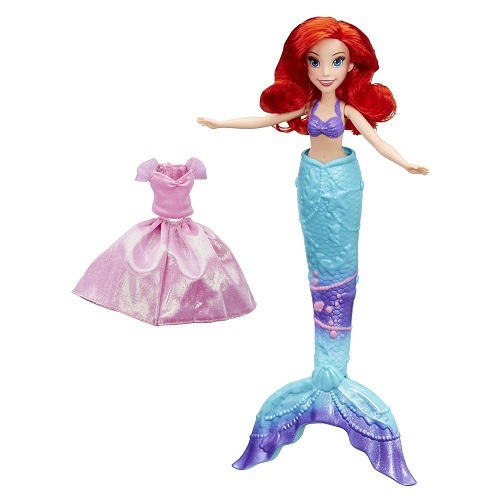 Kids will love to imagine magical moments with the DISNEY PRINCESS SPLASH SURPRISE ARIEL Doll. ARIEL is ready to transform from a mermaid to a human and explore the land above the sea! Place ARIEL in the water and watch as her fin fills up with water. When she’s ready to explore the land, lift her out of the water and watch as her fin opens to reveal her legs! Dreamers will have oceans of fun playing with ARIEL both in and above the water. DISNEY PRINCESS SPLASH SURPRISE ARIEL DOLL comes with ARIEL doll, plastic fin, skirt and top. Available at most major retailers and on HasbroToyShop.com. 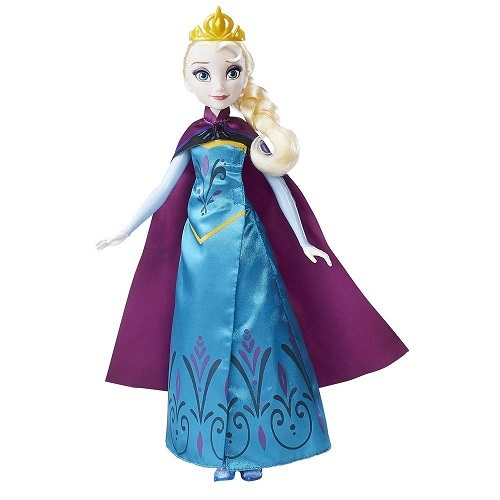 Experience the enchanting moment in DISNEY FROZEN where ELSA transforms into her snow queen outfit with the DISNEY FROZEN ROYAL REVEAL ELSA Doll. With a simple twist of ELSA’S dress, kids can quickly switch ELSA from her coronation dress into her sparkling snow queen ensemble for the ultimate storytelling play. The ROYAL REVEAL ELSA doll comes with a removable cape, tiara, and two pairs of shoes. Available at most major retailers and on HasbroToyShop.com. 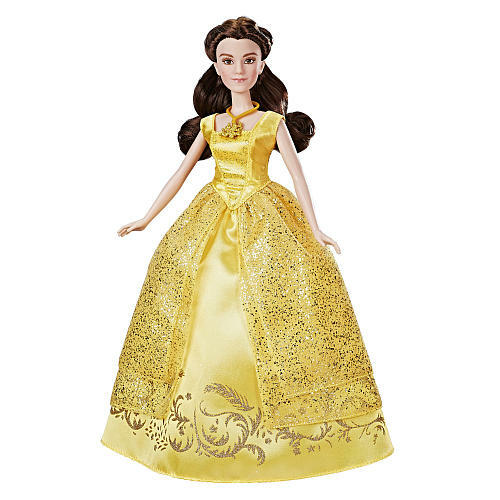 Enjoy the enchanting moments with the DISNEY BEAUTY AND THE BEAST ENCHANTING MELODIES BELLE doll. Dressed in her movie inspired iconic gold ball gown, the BELLE doll sings the “Something There” song from Disney’s live-action movie Beauty and the Beast. With one press of BELLE’S stomach, she will sing of her budding love for the BEAST in this classic song. Kids will love playing out moments from the movie or imagining their own fairytales with this doll. The ENCHANTING MELODIES BELLE doll includes BELLE doll in her movie-inspired golden gown and a removable pair of shoes. Requires three A76 batteries, included. Available at most major retailers and on HasbroToyShop.com. Step into the Kingdom of Avalor with the DISNEY ELENA OF AVALOR PALACE OF AVALOR Playset which is inspired by ELENA OF AVALOR’S palace in the Disney Channel television series. With two floors of royal fun, there are multiple adventures that kids can join in on with their favorite new princess. Clip ELENA OF AVALOR into the floor of the music room and spin the thumbwheel to watch her twirl. Hang out with ELENA OF AVALOR in her music room and sing along as kids imagine ELENA OF AVALOR playing her guitar, or relaxing after a long day in her cozy palace chamber. 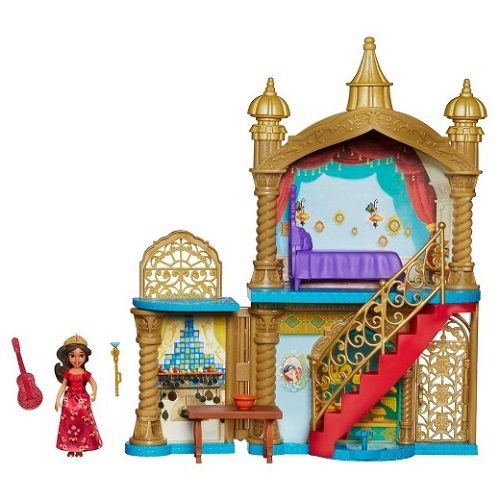 The PALACE OF AVALOR SMALL DOLL playset includes the palace, ELENA OF AVALOR doll, royal ball gown, furniture pieces, and themed accessories. Available at most major retailers and on HasbroToyShop.com. 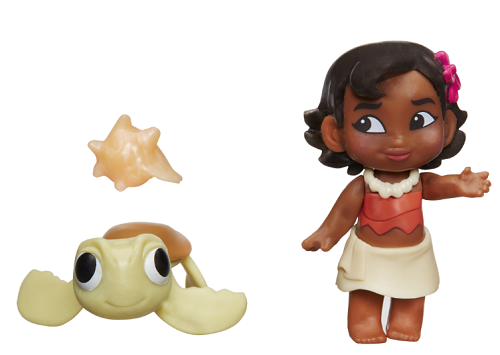 Get ready to set sail across the ocean with this adventure-seeking team of friends in the DISNEY MOANA SMALL DOLL Assortment! Kids can imagine MOANA as a toddler while acting out a variety of scenes from the Walt Disney Animation Studios movie, MOANA OF OCEANIA. Choose from two sets of friends: MOANA with a turtle friend or MOANA with her pig friend, PUA. Each assortment sold separately. Available at most major toy retailers nationwide and on HasbroToyShop.com. With the school year winding down and summer on it’s way, I got to ask. What’s for breakfast? 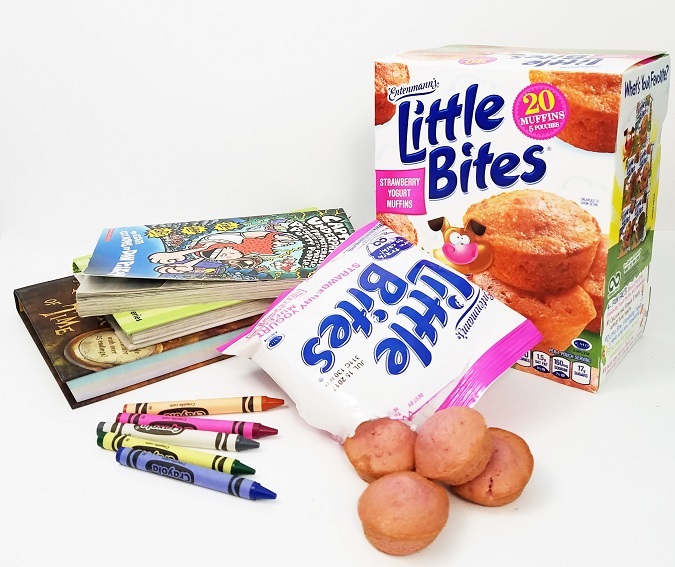 My mornings just got easier with new Entenmann’s® Little Bites® Strawberry Yogurt Muffins. These new Entenmann’s Little Bites are not only a good source of calcium and vitamin D, but they come in perfectly portioned pouches ideal for snacking on-the-go no matter what time of day! So whether we’re rushing in for the last few days of school or slowly enjoying the lazy days of summer, I’ve got a breakfast the whole family can agree on. Check out All Mommy Wants and how Little Bites help her morning!! Have a little reader in your house? At 8 years old, I love how my son has immersed himself in reading. It’s hard to keep up with him! With summer around the corner, I’m trying to get ahead on the summer reading list. If you’re looking for some great reads for your kids this summer too, they will love the newest books by Elise Gravel and Tom Watson in this Summer Kids Book Prize Pack Giveaway! Scroll down to learn more about these fun Harper Collins books + enter to win a fun prize pack + $50 Visa gift card! 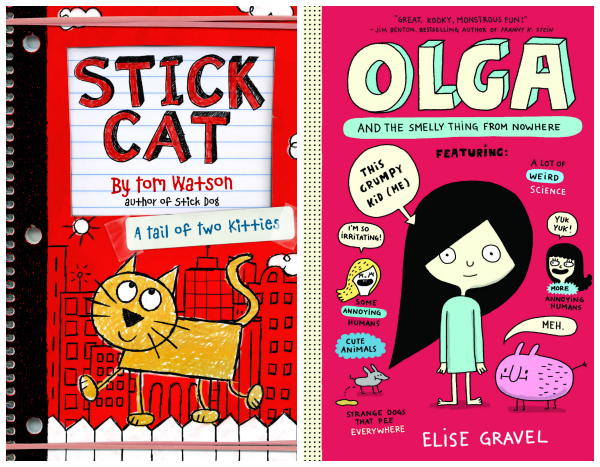 Copies of Stick Cat: A Tail of Two Kitties and Olga and the Smelly Thing from Nowhere are perfect summer reads for your kids aged 8-12 years old. 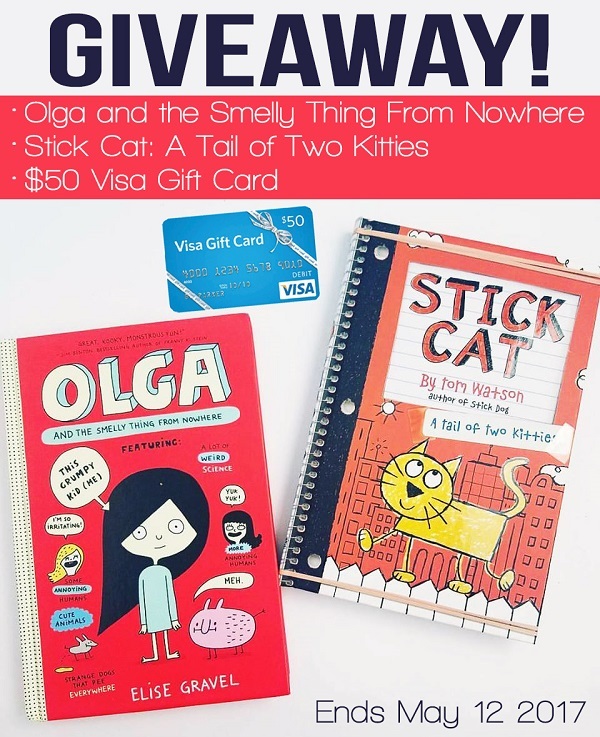 $50 Visa gift card – for your growing summer reading list! 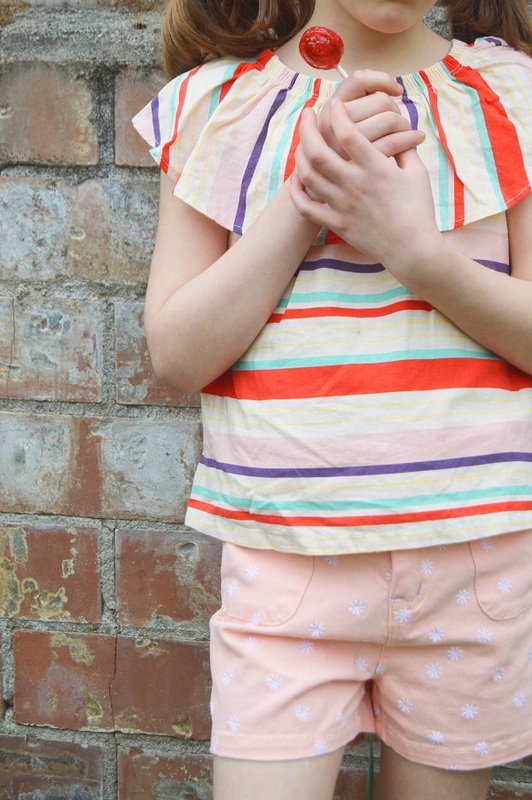 I adore kids clothes. I swear that they have the cutest outfits for children these days! And when I want to have my kids dress their best, I look for hidden clothing gem companies with quality clothes and unique designs. I have discovered a brilliant new shopping site to help with just that – Wilshire + Cooper. Wilshire + Cooper carries clothing from several top designers – Little Marc Jacobs, Paul Smith Jr, and others. The quality and selection can’t be beat! 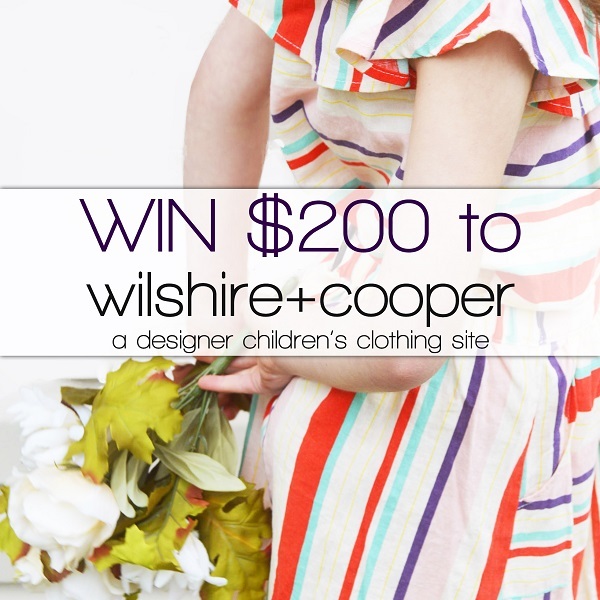 Check out a full review of Wilshire + Cooper at All Mommy Wants. Excited about the new live-action Beauty and the Beast movie? 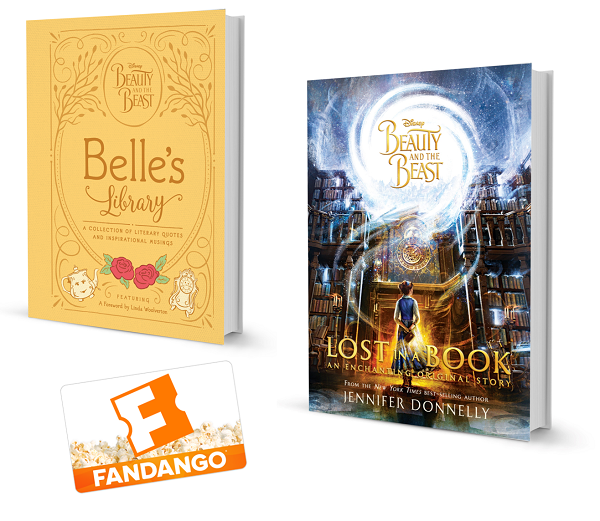 Belle is a huge fan of books, so why not get yours kids excited with this Beauty and the Beast Prize Pack Giveaway! 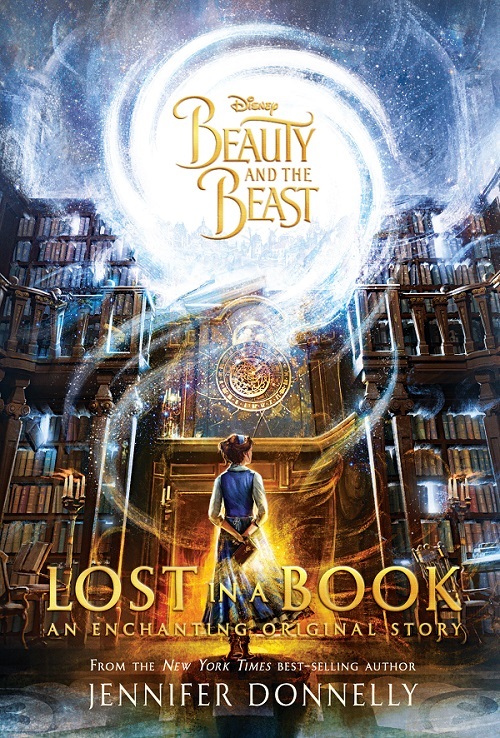 Celebrate the new Disney film with Jennifer Donnelly’s “Lost in a Book.” Merlot Mommy’s kids couldn’t put it down in anticipation of the new live-action Beauty and the Beast movie. Smart, bookish Belle, a captive in the Beast’s castle, has become accustomed to her new home and has befriended its inhabitants. When she comes upon Nevermore, an enchanted book unlike anything else she has seen in the castle, Belle finds herself pulled into its pages and transported to a world of glamor and intrigue. The adventures Belle has always imagined, the dreams she was forced to give up when she became a prisoner, seem within reach again. The charming and mysterious characters Belle meets within the pages of Nevermore offer her glamorous conversation, a life of dazzling Parisian luxury, and even a reunion she never thought possible. Here Belle can have everything she ever wished for. But what about her friends in the Beast’s castle? Can Belle trust her new companions inside the pages of Nevermore? Is Nevermore‘s world even real? Belle must uncover the truth about the book before she loses herself in it forever. $50 Fandango Gift Card so you can see the new movie! Hey momma, it’s a new year! And nothing says a new year to me like winning a whole lot of mommy essentials! 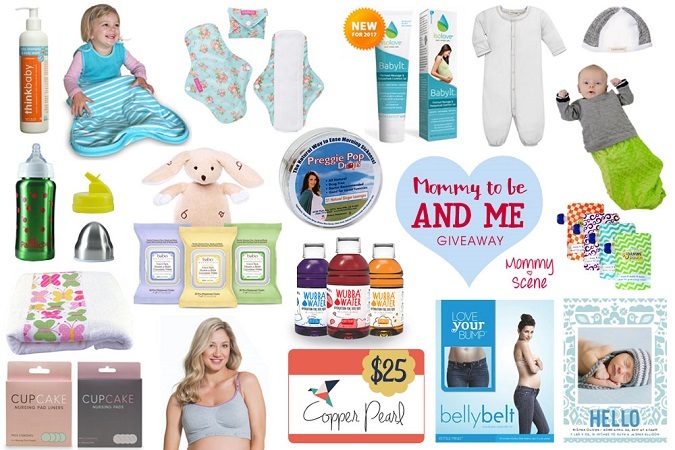 Check out all of the goodies in this Mommy-to-Be & Me Prize Pack Giveaway! Whether stocking up on adorableness for baby or great comforts for mom, there’s a little bit of everything to win in this huge prize pack – valued at over $500! Paige Lauren (4) baby caps of winner’s choice and (1) Classic Layette Converter in the color of winner’s choice. 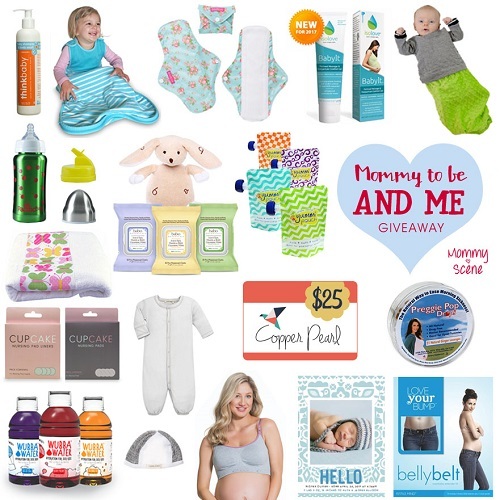 Enter to Win the Mommy-to-Be & Me Prize Pack! My morning essentials: coffee, laughter and more coffee. If you have a love-love relationship with coffee like I do, you’re my people. So of course we have to crown our coffee in all of it’s glory with the latest and greatest technology. That’s why I’m excited to bring you this amazing Ninja Coffee Bar Giveaway. How do you like your coffee? Well, now you can have it all with the new Ninja Coffee Bar from Ninja Kitchen. 6 brewing sizes. A built-in frother. Hot or cold. Oh and did I mention how beautiful this machine looks sitting on your kitchen counter? YES. 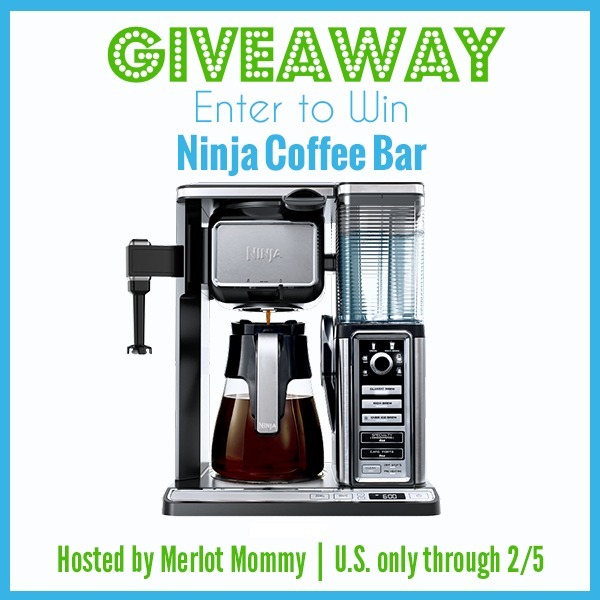 Read Merlot Mommy’s review of the Ninja Coffee Bar. Your kids will be begging for rain! With the release of the all-new Rogue One: A Star Wars Story in theaters now, it’s time to bust out the fan-hood with this fun Darth Vader Rain Boots Giveaway! Western Chief offers great rain gear for kids and adults. They offer innovative printing capabilities that add color and patterns to boots using 3D molding and transformed functional kids’ boots into fun, lifelike creatures such as smiling frogs and happy ladybugs, and now your favorite Star Wars characters! What?! YES! In addition to the new Star Wars Darth Vader rain gear, Western Chief also has other licensed character boots and rain gear such as Disney’s Frozen. Available now, the Kids’ Star Wars Darth Vader line of rain gear includes rain boots, a raincoat, and an umbrella. You can save 15% this holiday season on the bundle at the Western Chief website. 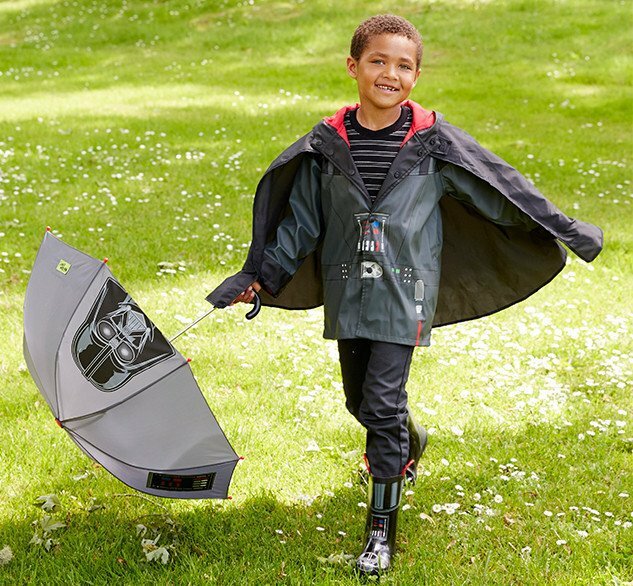 Kids’ Star Wars Darth Vader Raincoat: The coat features a hood with a partial face mask resembling the front of Darth Vader’s helmet, as well as a removable cape. Graphics printed on the coat show the lights and buttons of Darth Vader’s control panel, as well as a red lightsaber hanging from a utility belt. 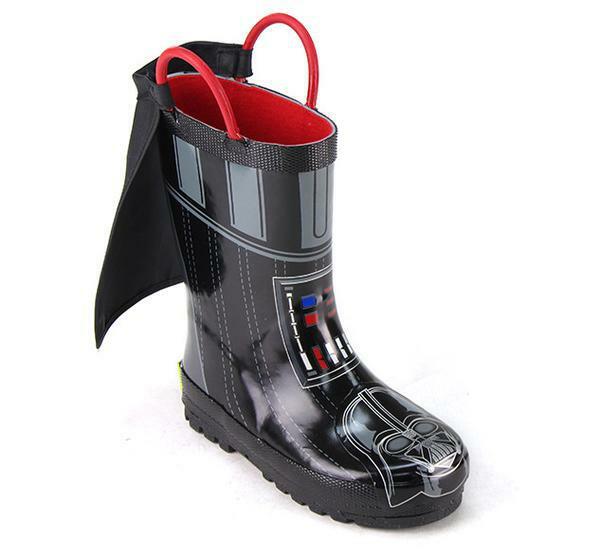 Kids’ Star Wars Darth Vader Rain Boots: The rain boots feature Darth Vader’s unmistakable helmet, as well as a graphic of the lights and buttons on Darth Vader’s control panel. The boots also feature removable boot capes. Kids’ Star Wars Darth Vader Lighted Rain Boots: The light-up rain boots feature a print Darth Vader’s unmistakable helmet and flash a red light with every step. Kids’ Star Wars Darth Vader Umbrella: Sized for kids, this umbrella features Darth Vader’s helmet, as well as a graphic of the lights and buttons on Darth Vader’s control panel. Yay for the holidays! Delicious Christmas dinners? Lively holiday parties? How are you enjoying the holiday season? Our family is certainly busy keeping up with all the Christmas season is offering – there’s so many family memories being made. 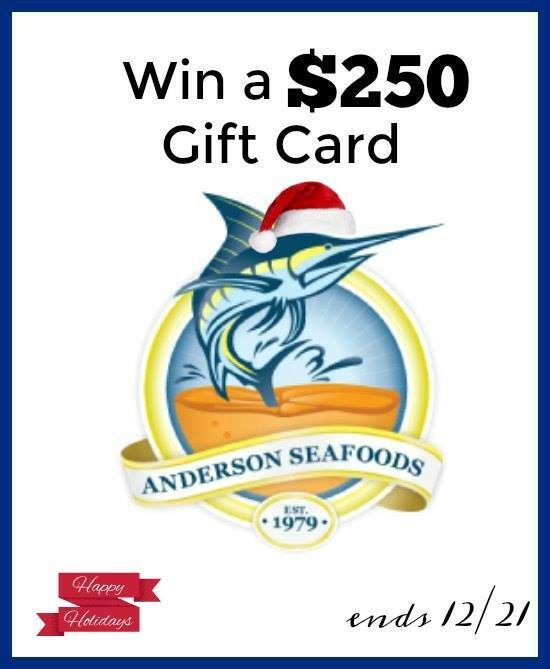 In case you’re hosting a get-together, now is the perfect time for Holiday Entertaining with Anderson Seafoods! YUM! Whether planning a delicious menu or hosting a fabulous party this season, Anderson Seafoods is here with your favorite choice seafood options for the whole family – from crab legs to shrimp, fish and more!